To celebrate International Week of the Deaf, during Monday 22nd to Sunday 28th September, you are invited to attend our Community Cuppa in your local area. Refreshments provided. Please check for date/time/venue with your local Community Relations Officer. Meeting point: Take Titirangi Road right through Titirangi Village to the roundabout. Take Huia Road, travel through Laingholm and Parau to Huia. Please let them know if you are coming and they will organise car pooling. 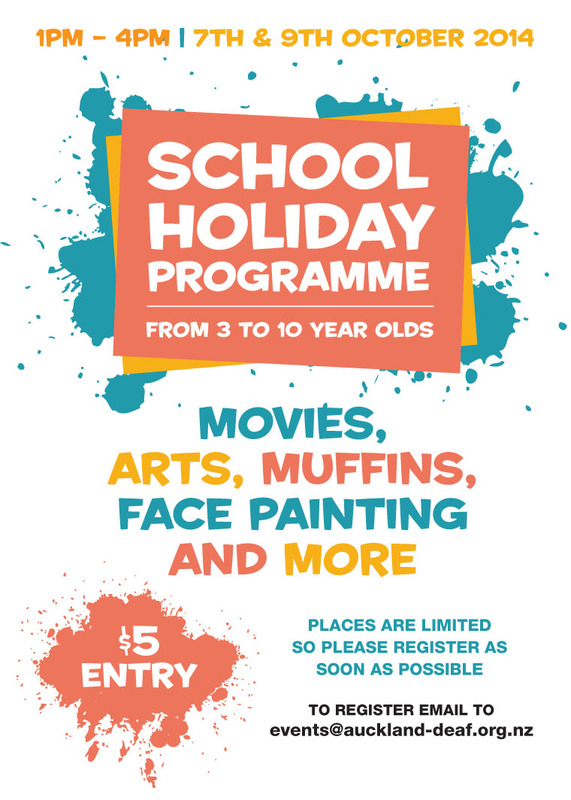 We have movies, art, muffins, face painting, and more to keep your child busy in the school holidays. When the little yellow digger gets stuck in the mud, a range of bigger diggers are sent to finish the job...plus other fun adventures of this tiny tenacious machine. Telco Technology Services (TTS) are New Zealand's largest provider of trusted advice and technology, ICT hardware, service and support for primary and secondary schools, and the Ministry of Education's partner in the School Network Upgrade Project. They are looking for a Systems Administrator. For this role, New Zealand Sign Language experience is desirable. Please download this job advertisement for more information about this role. TEC Workshop: Are You Tech Smart? 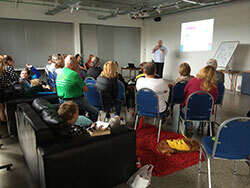 This workshop was held at Auckland Deaf Society last Saturday and attended by over 20 people. A great turn out and we all learnt things about today's technology world. Chris Blum who led this presentation talked about the differences between 3G, 4G, UFB, broadband, why digital is growing and much, much more. We also listened to each other’s perspectives and for example, why they had mobiles contracted with different networks. Chris has also shown us the statistics and sharing information was really informative - so many things we never, never knew!! More of this workshop coming soon at: New Plymouth, Palmerston North, Nelson, Wellington, Dunedin, Christchurch and more. Look out for dates in this newsletter. Don't miss out!! If anybody else is attending the events that I’m advertising in the Community Weekly Newsletter and would like to share their photos, that would be really lovely. I have been to a few events and will be posting the pictures on the Deaf Aotearoa Facebook page. Just to show you I’m actually going to these events! Or if you don’t like what I’m advertising and would like to share with me what you are interested in, then please feel free to tell me. A fantastic exhibition of over 300 works from 25 ceramic artists, 40 contemporary paintings from six national artists. Daily screening of Art House films. Contact: Mark (021) 280 8893 or info@taupofunworld.co.nz or Ricoh Taupo Motorsport Office admin@tauporacetrack.co.nz. They cater for kids aged one to ten to have fun. It costs only $10.00 per child to have up to six hours of bouncing around on all the bouncy castles and try out New Zealand's largest soccer ball! There will be extra costs for face painting, food/drinks and ride-on cars. Please note all children must have a parent or caregiver with them at all times because they are not a drop off centre but a fun place to take some time out and enjoy it with your kids. Men, women, children's clothes, shoes, bags, hats, accessories, bedspreads, sheets, duvets, cushions. You pay $2.00 for a large bag, You pick what you want. All good quality. Shirl knows some sign language. Call 07 578 2457, text 021 292 4021, email kurawainz@gmail.com or Facebook Kura Wai. Click on flyer for menu and contact details to book your meal. Up to 10,000 riders from New Zealand and over 20 countries across the world take part each year. Will you be among them in 2014? Start training, but there is a category for those who want to enjoy the ride and support the event. There are 15 categories for mountain bikes, cycle bikes, individuals, teams/groups, etc. Click here for all the information and cost. Parents are invited to come and listen to Clare from Hearing Dogs Taranaki about a proposed trial for a companion Hearing Dog for Deaf & Hearing Impaired children and their families in Taranaki. Are you interested in a companion hearing dog for your child and family? If so then please do come along and have a listen to how the trial will work. It is flexible and Clare will endeavour to answer any question you may have. For more information contact Kelly email presidentpodc@hotmail.co.nz or podctaranaki@windowslive.com. Please book your seat at info@taranakidic.org.nz. Ample parking in and around the Plymouth Hotel parking area, care is needed. Fully accessible for those with disabilities. Marama Simeon will be available after 1:30pm to communicate for any Deaf Community Members. From 1:00pm to 1:30pm she will be playing her guitar! She can also meet and greet with you before the concert starts. Organised by Taranaki Disabilities Information Centre Trust in Association with the International Day of the Older Person. Limited wheelchair space. Please indicate any special requirements. Read this inspiring story about a young woman from New Plymouth, Erica Perry, who has Miller Syndrome but is also known within our Deaf Community with her hearing loss. Last week, in our newsletter, we reminded people to check the expiry of their drivers license. Two Deaf people contacted us to say thank you because they didn’t realise their drivers licences would be expiring this month. They will be visiting the AA centre to renew their driver license. Please do check your driver license to see if it is still active. If you need to renew your license you need to contact the local New Zealand Transport Agency. My name is Olivia, and I am an Honours student in psychology at Massey University. I am looking for deaf people who might be interested in contributing to my Honors research. As part of my Honors year I am conducting a research project that studies physiological responses during emotional situations. Unfortunately, most of what we know about emotional responses comes from studies with hearing people. For this reason I am particularly interested in studying emotional responses among the Deaf. Participants of the study will attend a one-hour testing session at Massey University at the Palmerston North campus. The testing will involve watching a selection of short video clips as physiological measurements are taken using non-invasive sensors attached to your face and wrists. Volunteers who participate in the testing session will receive a $20 petrol voucher. If you are interested in volunteering for the study, or if you would like more information, please email me oliviajwilliams@gmail.com. You may also direct any concerns or questions about the study to my supervisor Dr Michael Philipp (m.philipp@massey.ac.nz). Reminder, next Saturday 20th September is Voters Day! This is the day everyone votes! But you can vote earlier if you want. Below are the links for your areas. They show you where you can go and place your earlier votes, it also shows where you can vote on 20th September. Click on the link for your area below and you’ll find all the information you need to make voting easy. Interpreted Show coming to Palmerston North next month! Did I read that right? Yes you did!!! Guess what, there is a one-off special show coming to Palmerston North next month, there will be a New Zealand Sign Language Interpreter up on stage to translate the show! Excited? I am... more information in next weeks newsletter... watch this space!! Race to the top or take it slow but come and join in the fun and try some rock climbing with Wellington Association for Deaf Children (WADC). All WADC children will be funded! Johnsonville Plunket is holding their pre-loved baby/children clothes and toys sale. There will be around 20 stalls filled with loads of bargains, plus don't forget your lovely home baking. Any questions please check out their Facebook page! Join in the entertainment in Wellington's Rugby Fanzone in Civic Square before the All Blacks and South Africa kick off at Westpac Stadium. Fans going to the match can join the walking parade starting in Civic Square at 5:30pm, led by Sam Manzanza and his African drummers. Or join the fan fare as it continues along Wellington’s beautiful Waterfront to Westpac Stadium, arriving in time for the big game at 7:00pm. Dust off that vase that’s been sitting on your shelf for an age. Pull that unusual painting off the wall. Grab that old, slightly creepy looking china doll and bring it down to the Curio Show at the Museum of Wellington City & Sea to have it appraised by entertaining duo, Simon Manchester & Peter Wedde. Inspired by the popular British TV series Antiques Roadshow, the Museum’s Curio Show takes a close look at the weird and wonderful curios hidden away in houses across the Wellington region for their Third Thursday. The evening will feature two one-hour sessions of appraisals with free and live entertainment between sessions. Book your object in for a free appraisal now! 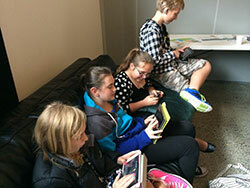 Email museumswellington@wmt.org.nz. A road movie with heart, Danny, Cityboy and Tau are The Pā Boys, a band with ambitions to take their music all the way from Wellington to Cape Reinga, the northernmost tip of Aotearoa New Zealand. But the band soon finds there’s more to this tour than the music, as questions about identity, whānau and whakapapa take The Pā Boys on unexpected journeys. Shot in just 28 days in remote locations across the North Island, The Pā Boys captures the energy and intimacy of a band on the road, showcasing the cast’s musical talents through a script that explores the gift of friendship, the strength of family, and the importance of ancestors. The Canterbury Deaf Youth committee are asking for suggestions and ideas from Deaf Youth members about what they would like to do for the next event this month. If you have any suggestions or ideas, could you please send them to the Canterbury Deaf Youth committee. You can contact them by email or you can post a comment on their Facebook page. An opportunity for Catholic church members to attend a mass with New Zealand Sign Language interpreter, Jenna Gutteridge. If you are interested to attend masses, they will inform you of dates and time at the church. A workshop will be presented by David Loving-Molloy, Chaplain at the Catholic Deaf Centre from Palmerston North, for New Zealand Sign Language interpreters as well members of Christchurch Catholic Deaf community. Any Deaf are welcome to attend. Please bring a plate of food to share for morning tea. Any questions, please direct contact David Loving Molloy catholic.deaf@pndiocese.org.nz. South Island NZSL Camp: Cartoon Theme! Want to join a fun weekend of all conversation, games in NZSL? They will be having workshops, drama, conversation, fun games and much more! 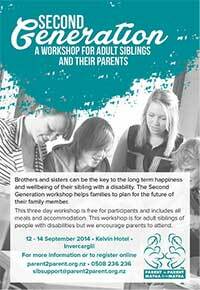 Everyone is welcome – download information sheet for more details, enquiries and registration. Free course for men and women. Learn the basics of self defence and other ways to keep yourself safe. 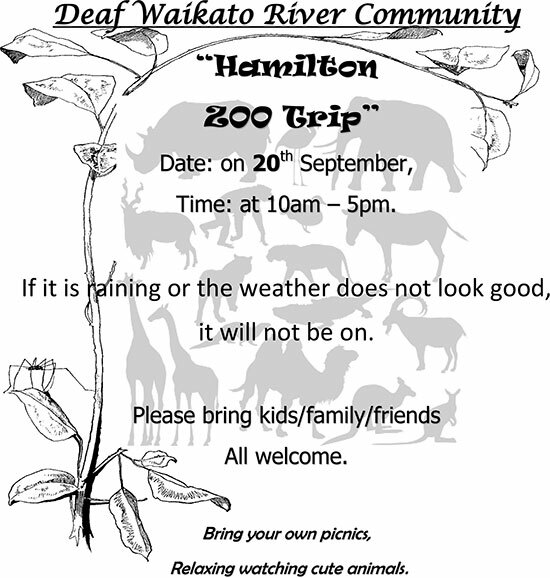 Please RSVP to Deaf Aotearoa by Tuesday 23 September. Reminder: You can choose to vote on Thursday 18th September in Filleul Street with NZSL interpreter. The interpreter will be there at 3:00pm. Or, if you want, you can vote on Saturday 20th September in your home area with no NZSL Interpreter. Have a go at something new and fun! Try a new way to be active, from zumba to judo, crossfit to yoga, and everything in between. There are more than 40 different sport and recreation activities to try. RSVP: You will have to confirm your place on this course before Wednesday 1st October. 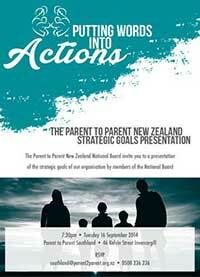 Contact: Rebecca Petre by email rebecca.petre@deaf.org.nz or text 021 554 905. 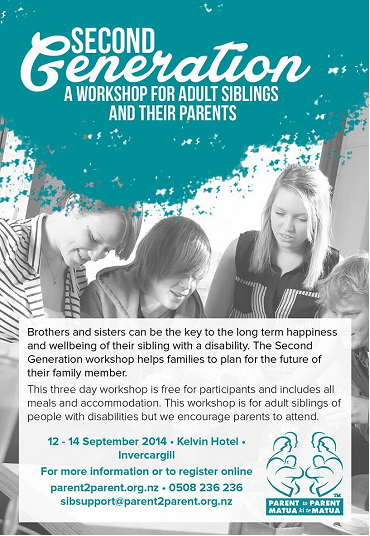 Free workshop for adult siblings and their parents. Please refer to flyer for RSVP Details to reserve your place . Please refer to flyer with RSVP details to reserve your place .